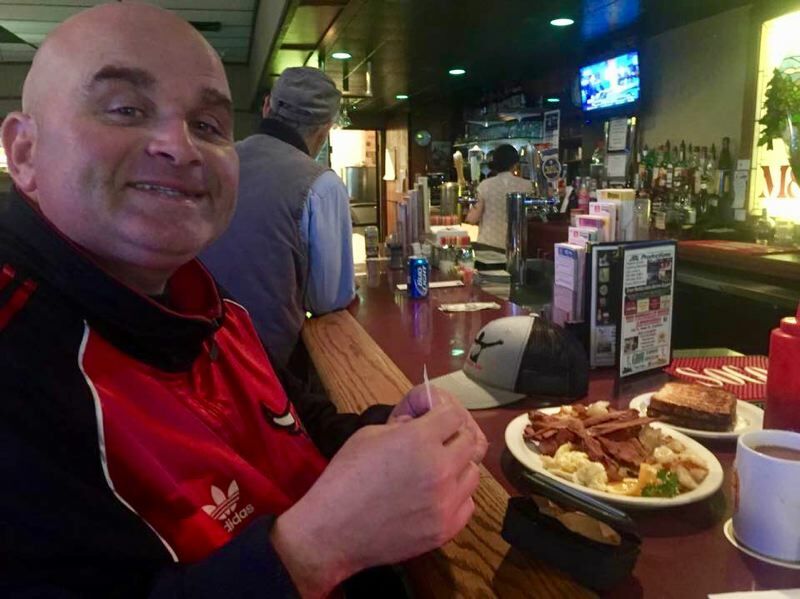 Todd Kirnan, 45, is known for his kindness, good deeds and endearing community spirit. 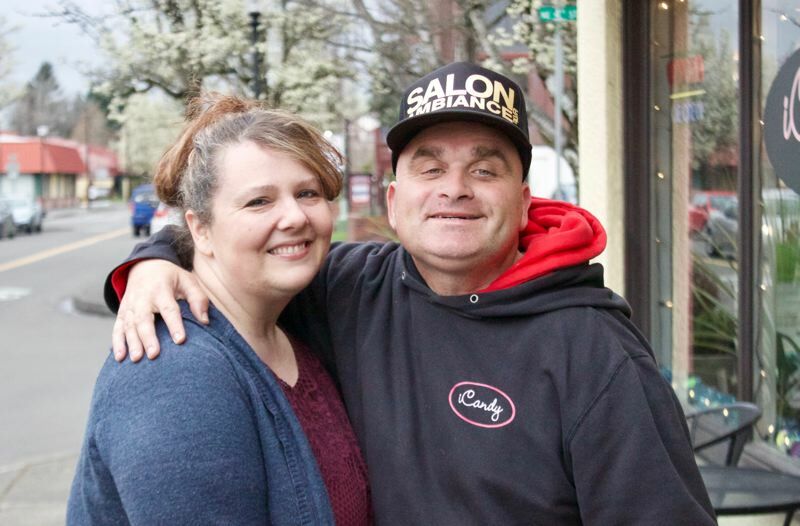 One of the most common sights in downtown Gresham is the friendly face of a man who has dedicated himself to supporting local business owners and brightening the day of everyone he comes across. It is that focus on others that has made Todd Kirnan, aka "Mr. Gresham," such an important part of the community. "I love Gresham because it's a little cute town and everyone is nice here," Todd said. Todd, 45, spends his days meandering the downtown streets of Gresham, seeing if there is anything he can do to help merchants. His tasks range from delivering food and coffee, taking out recyclables, mailing letters, getting stamps and anything else that is asked of him. He connects people with the services they need, running an informal business for about 15 years. Todd not only helps others, but also fosters community spirit. The business owners, all of whom he sees as his friends, can tip if they want. "They are all protective of my brother," said Suzette Rackley. He is the perfect example of a good member of the community. "Todd is really miraculous," Rackley said. "He is the love of everyone's life." Shortly after his birth in 1972 in Portland, Todd was diagnosed with autism. He is functional and has a phenomenal memory. Though he now has lots of support, he suffered through a rough childhood. His birth mother was very abusive. While his father George was away at work, she would tie Todd to the crib and shove spoons down his throat. "She almost killed me," Todd said. It wasn't until one afternoon while his birth mother left with his older brother that a neighbor finally caught on. Suspecting something was off, they called the police. The authorities intervened on Todd's behalf after discovering him strapped down. They removed him from the situation and placed him into a foster care home. "My dad and Aunt Janice fought to get Todd back," Rackley said. "From that point on my dad felt protective of him." Growing up, Todd was the even-keeled one among his siblings, though that didn't stop him from occasionally being goaded into antics. When he was 12 years old, his older brother told him to get the hose while they were all playing outside. Instead of going for the garden hose, Todd ran into the kitchen for the one by the sink. He ended up flooding the kitchen with 3 inches of water. Todd said his favorite memory of his sister was when she cried after he graduated from the primary class they were both in, because it showed how much she cared. "There were good memories too," he said. "She is a great sister." 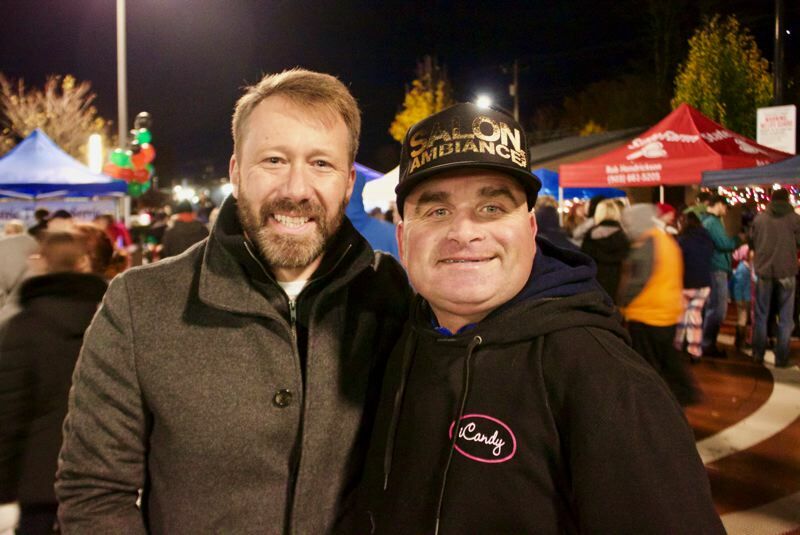 Todd attended Gresham High School, graduating in 1991, where he began a lifelong friendship with his classmate Mayor Shane Bemis. The two met when Bemis served as an aid in the special needs physical education class, and they quickly grew close. Bemis became a mentor for Todd. "Shane would always stick up for me against bullies," Todd said. In high school, Todd competed on the swim team and did the shot put and high jump in track. His athletic achievements were crowned as a sophomore when he received a trophy. It was also in high school that he was given the moniker most everyone still knows him by. In a competition called the Hall of Fame, Todd was voted by his classmates as "Mr. Gresham." "It's very fitting, he is a part of the history of this community," Rackley said. "Gresham wouldn't be Gresham without him." Todd was always closest with his father, George, who he lived with for most of his life. "My dad was my hero because he cared about me," Todd said. His dad made him believe that even though there were challenges in life, he would be able to rise above them. When Todd's father passed away last May, the community rallied to make sure he was supported through the difficult loss. While downtown is a safe place to stroll, the business owners all have a plan in place to help Todd. They love to buy him things and spend a few moments chatting. During a snow day this past winter, one business owner offered to drive him home, while on hot days he is given water and shade up and down Main Avenue. "Todd is such a great asset to this community, so it warms my heart to see how everyone has embraced him," Bemis said. The two chat almost every day, with Todd stopping by Bemis' downtown restaurant, Boccelli's Ristorante, during his rounds. One of the Mayor's favorite memories of his friend happened during a visit Todd made to Gresham City Hall. He was interested in getting the paperwork to run for mayor. "When I found out, I asked Todd if he was really going to run against me," Bemis said with a laugh. "He told me, 'No, who would ever want to do that for free?'" Rackley is always amazed at the amount of people her brother runs into. He has an incredible ability to remember everyone he meets. Once, on a family trip, Rackley saw her brother deep in conversation with two people he remembered from having dinner with 20 years earlier. Todd can often be seen sporting jerseys of his favorite athletic teams, and enjoys going to concerts and the movies. He loves the downtown car shows, the Gresham Arts Festival, and riding in the Teddy Bear Parade each year with the Mayor. For the city's 113th Birthday Celebration in February, Todd was asked to help Bemis lead a group in singing Happy Birthday, and was given the honor of blowing out the candles on the cookie dough birthday cake from iCandy. Todd runs a Facebook page, with help from his nephew, where he shares inspiring messages. "I like to say nice things — no politics on Facebook," Todd said. Todd's presence has inspired many specialty items in downtown businesses, including a haircut named after him at Barberstarrs. The current talk on social media is about commissioning a statue of Todd, which would have a place of honor somewhere in downtown. It's talk Bemis has been hearing for a while. "Todd has asked me about a statue of him every day for the last 10 years," Bemis said. While it's still just an idea floating around, the sentiment shows how much Todd means to the community. "I love everybody in Gresham," Todd said. "I love being a part of this town."